Are you interested to know about the colorful cultural festivals of India and want to experience them? India is an incredible country that known throughout the world for many unique things from its diversity to its astonishing tourist destinations and from its yoga to amazing cultural festivals. With an exquisite cultural and religious background, travelers can enjoy many colorful and vibrant festivals in this country. Festivals in India are not only a means for happiness and joy but also a way to display the rich values, tradition, and culture of the country. These festivities in India entwine with the lives and culture of the people. Each state in this country has unique festivals, and if you visit these places during their festival time, you can see the people in that area alive culturally. 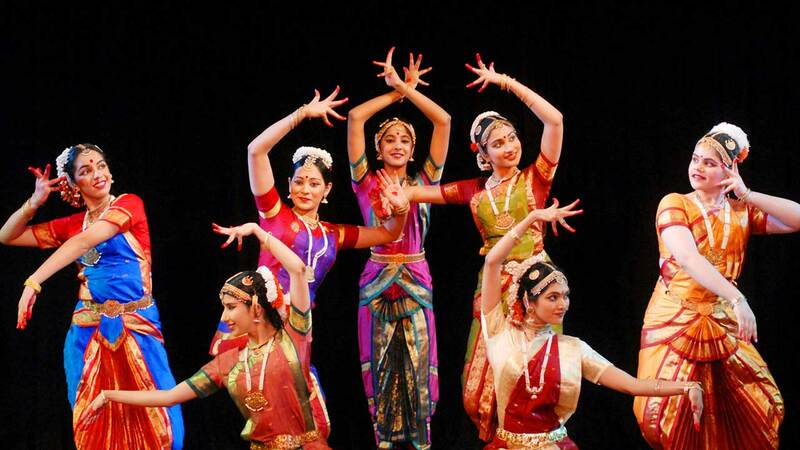 From October to March is the best time to enjoy vibrant cultural festivals as per the Indian calendar. Read this blog to get an idea about the top cultural festivals in India that shows magnificence and fervor on a grand scale. The Kite festival, Uttarayan, in Gujarat is one of the unique and colorful festivals in India. It is celebrated on the auspicious day of Makar Sankranti, the transit of the sun towards the Tropic of Cancer, every year. People celebrate this festival to cheer about the end of winter. It is an event you should not miss because this magical sight happens only once a year. You will be speechless when seeing the sky filled with countless kites in different colors, sizes, and designs. Kite- flying competition is the main attraction of this festival. 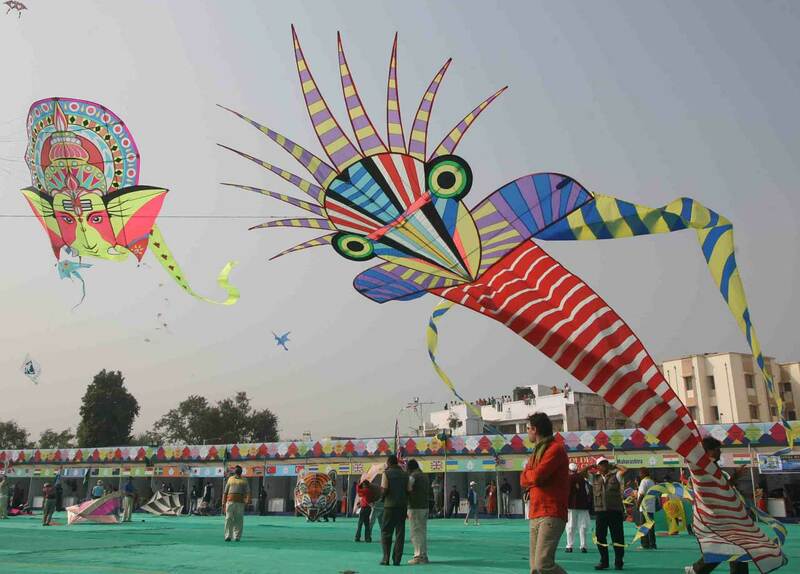 Visit this Indian state during the Makar Sankranti to participate in the kite festival to bring out the child in you. 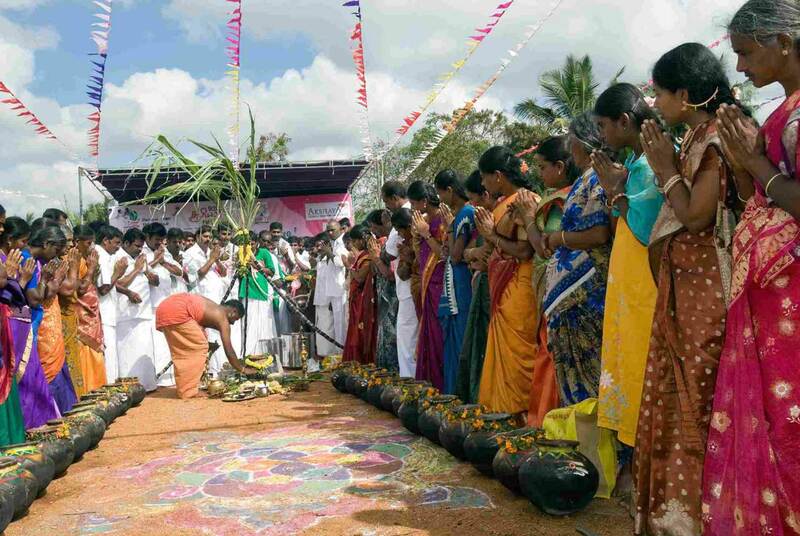 The harvest festival of Pongal is one of the most popular festivities in South. The literal meaning of this ancient festival is ‘spilling over‘, and it is believed to be dated even back to 200 BC. This four-day festival is mainly celebrated to thank Mother Nature for the profuse agriculture. Sweet rice, Pongal, is the highlight of this festival. Another attractive feature of it is Mattu Pongal which is celebrated on the 3rd of the festival. Prayers are offered to the cattle on this day and give them a day of rest for marking the gratitude towards them. Pongal is among the most auspicious festivals in South India during which families and friends are invited over meals. Plan a trip to Tamil Nadu during Pongal to see the diverse culture of India. Magh Bihu is another great festival in India mainly celebrated by the people in Assam. Also known as Bhogali Bihu, this community festival is celebrated in the Magh month. Delicious dishes are the highlight of this festivity because of the profuse of agriculture after the harvest. Uruka, the night before the Magh Bihu, is the night of feasts. The villagers make a community kitchen using bamboos called Bhelaghor to prepare dishes. The next day people create a large bonfire named, Meji to pray for better harvest all the year ahead. Several local games are included such as pot breaking, buffalo fighting, Dhop Khel and egg fights to make the festival more colorful. Magh Bihu also marks Makar Sankranti and the end of winter season. Make sure to be a part of this festival if you plan to travel to Assam during the mid- January. Bohag Bihu and Kongali Bihu are also important for these regions. 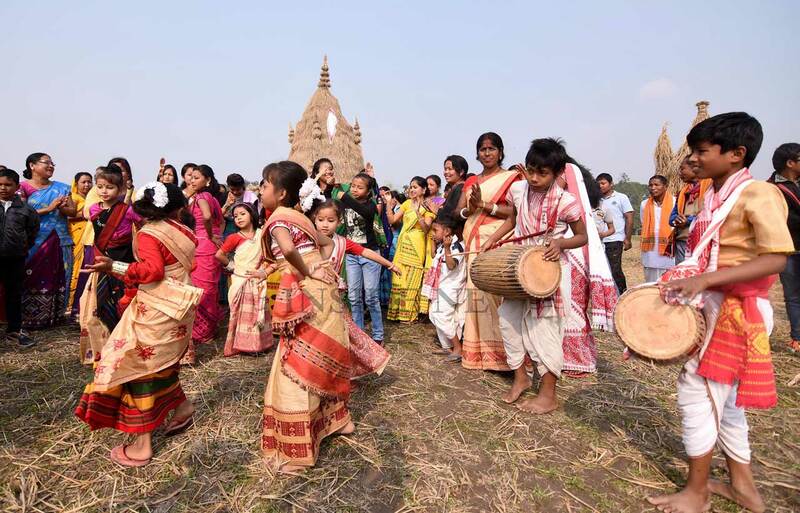 Bohag Bihu will be celebrated in 2019 on 13th and 14th April while Kongali Bihu on 19th October. 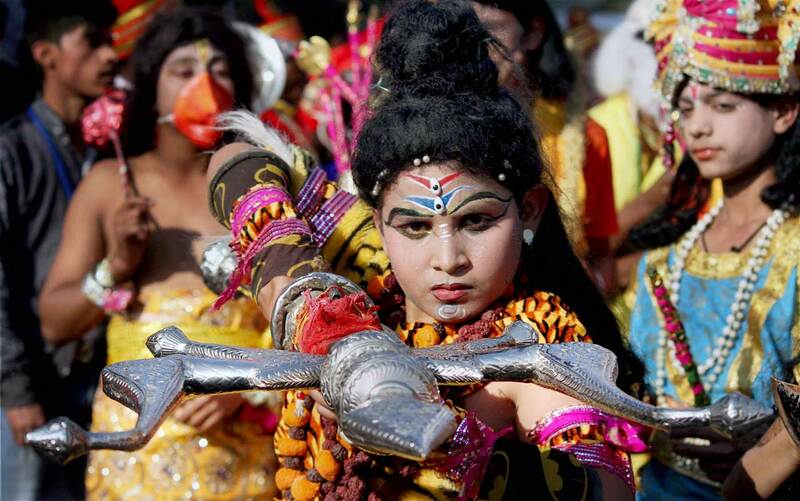 Thaipusam Festival is a colorful festival celebrated in India worth participating. This festival is celebrated by Hindu devotees in Tamil Nadu in the local month of Thai (January/February) to honor Lord Muruga, a son of Lord Shiva. 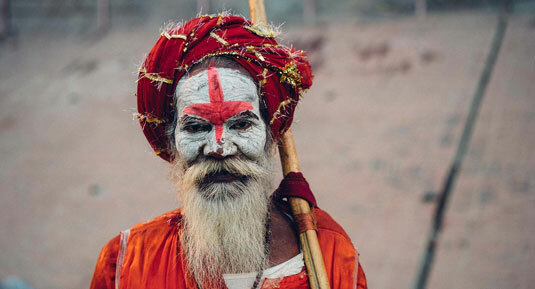 Several unique religious practices and body piercing make it a spectacular holy festival in India. This festival is celebrated not only in India but in all the countries where Tamilians have their roots. Palani is the best place to watch this elaborate festival where thousands of devotees flock and celebrate it with great excitement. 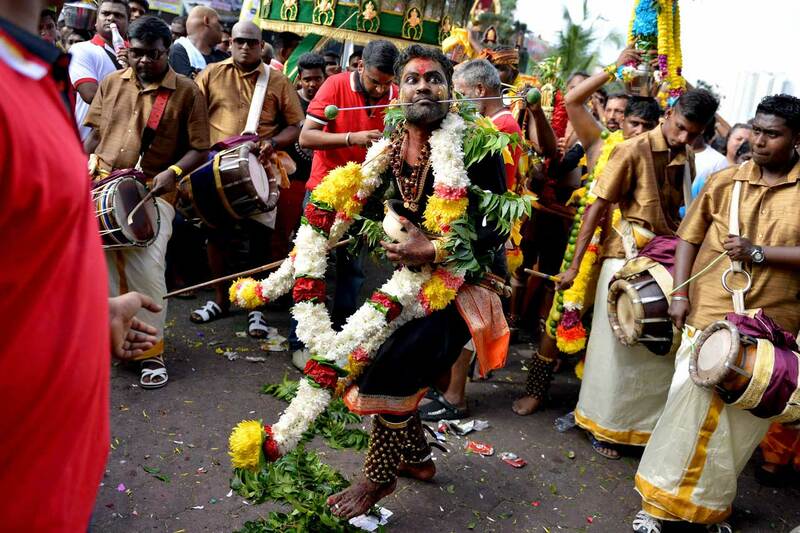 Vel Kavadi is the most amazing religious practice of Thaipusam festival which is a hard penance. Plan a trip to Palani during this time to celebrate this festival and to seek divine bliss. The royal state of Rajasthan is not only famous for its majestic palaces and forts, but this destination is also equally famous for vibrant festivals and fairs. 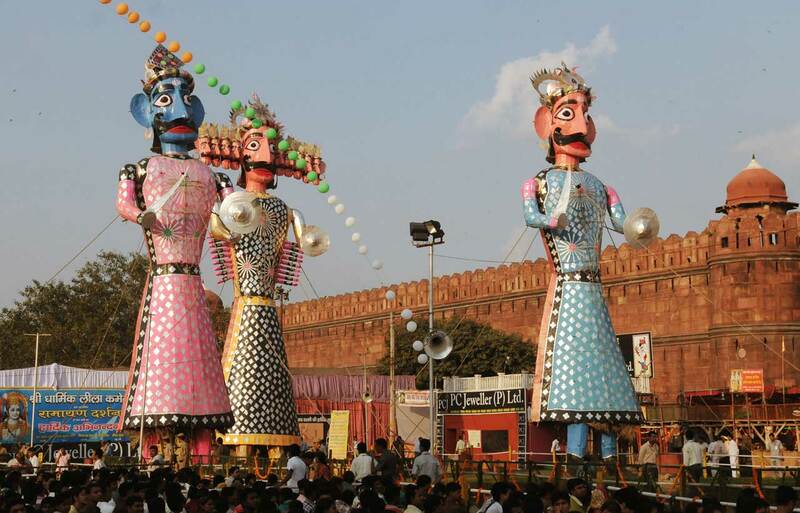 The Nagaur fair held in Jodhpur is the second biggest fair in the country which lasts for eight days. Popularly known as the Cattle fair of Nagaur, it is held during the month of January-February every year. You can see numerous lavishly decorated animals in the fair and nearly 70,000 cattle including bullocks, horses, and camels are traded during this festival. Exciting sports activities add spice to the celebrations of the Nagaur Fair. Make your trip to Rajasthan an unforgettable experience by participating in this vibrant festival. If you are planning a trip to the royal destination of Jaisalmer in Rajasthan, then February is the best time for that. 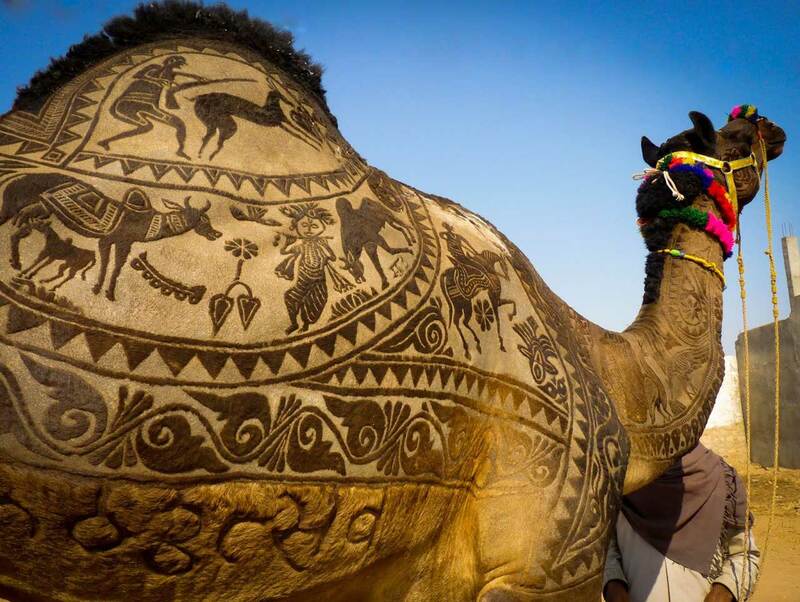 The renowned Jaisalmer Desert Festival held in this city every year during the month of Magh which usually falls in the month of January-February. 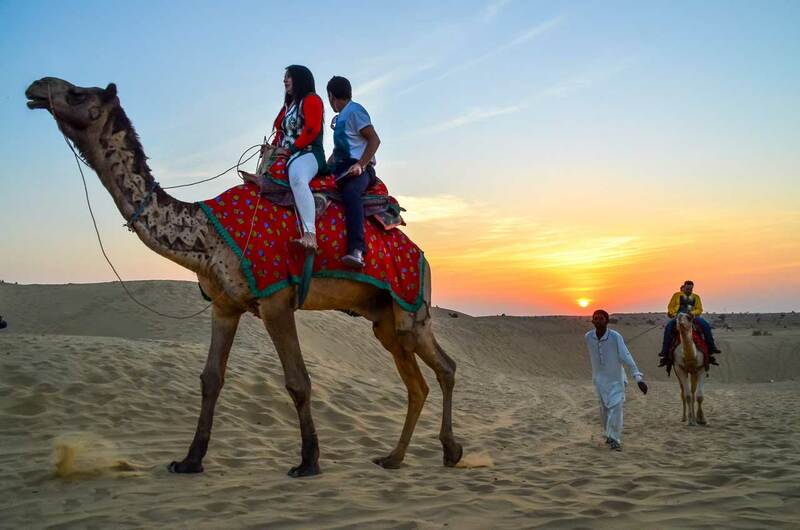 The beautiful city comes to life during the 3-day festival extravaganza which is celebrated in the middle of the alluring dunes of the Thar Desert. Rajasthan government started marketing of this colorful festival so that it draws so many international tourists to this desert city. It shall be a rare opportunity for them to be a viewer of the rare Camel polo competition. 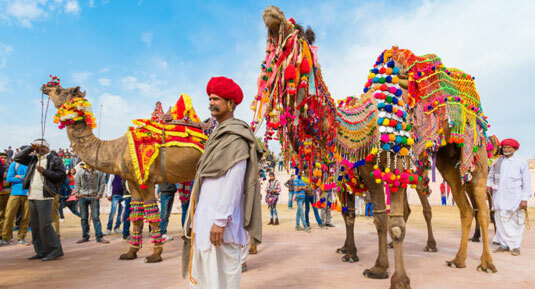 The festivities of the Jaisalmer Desert Festival make this city come alive with color, joy, and enthusiasm. Some of the highlights of this fair include amazing stalls displaying handicrafts, artifacts and other souvenirs and delicious food items. You can also enjoy camping and desert safari during this festival. Madhya Pradesh is a great tourist destination in India, thanks to its beautiful temples adorned with elaborate sculptures. A lot of people visit this state to see its ancient temples and beautiful sculptures as these are fantastic forms of art. The Cultural Department of the Madhya Pradesh government organizes the Khajuraho Dance Festival every year since 1975 against the mind-blowing backdrop of these ancient temples to celebrate this art form. Being one of the most anticipated cultural events in the country, dance lovers from across the globe visit Madhya Pradesh to watch the performance of renowned artists. Contact us to book your tickets to celebrate your life through this beautiful art form. Another unique cultural festival in India to be experienced is the Rann Utsav. The Kutch in Gujarat is famous not only for its amazing natural charm but also for the mega cultural event of the Rann Utsav. It is a spectacular event that leaves everybody awe-inspired. 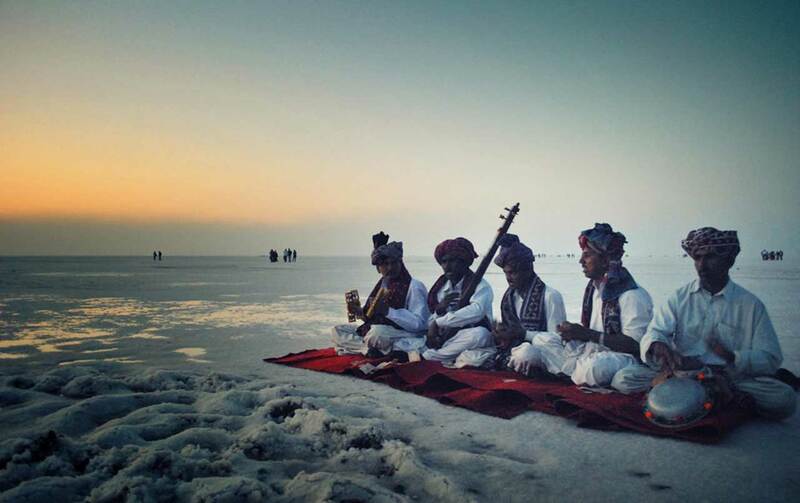 Each visitor loves to spend a night in this spectacular white landscape of Kutch that extends into the horizon close to the neighboring country, Pakistan. The Tourism Department of Gujarat organizes this fantastic winter rendezvous. This cultural event shall be a lifetime experience as it covers many things from shopping to adventure activities. This desert festival includes folk dances, star gazing, handicrafts, sightseeing, and cultural fiesta. Carry some woolen clothes as it falls during the winter months. Choose a package from Colourful Indian Holidays to experience the spirit of the vibrant Indian state of Gujarat in all its glory. Goa is one of the most popular tourist destinations in India as it offers limitless opportunities for visitors to have fun. This small Indian state offers many festivals and events for tourists, and the Goa Carnival is one among them. Plan a trip to Goa during the first week of March to be a part of its festive mood. You will be delighted to see the streets that are decorated with captivating lighting and alluring balls. The festivities of this grand event include electrifying music, superb dancing troupes, sports competitions, parades and floats, and excellent food and drinking. Enjoy some beautiful time in Goa during its carnival time by indulging in drinking, eating, and merrymaking. With several ancient rituals, cultural events and amazing traditional performances, the Losar Festival is the most beautiful and colorful festival of the Tibetan or Himalayan region. 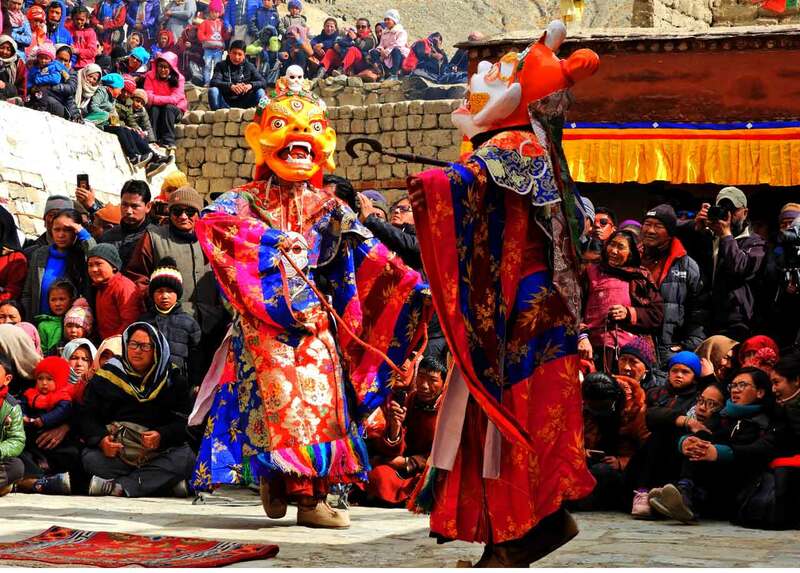 The best place to watch this beautiful festival is Ladakh. The music along with dance, religious offerings to deities in the Gompas or domestic shrines by Buddhists and celebration dinner with family members, friends and relatives are the highlights of this festival. Local people paint their kitchen walls with the auspicious symbol of Ibex for good luck. They keep evil spirits at bay through a procession of fire during this festival. Watching the rituals and cultural events of the Losar Festival shall be a lifetime experience for each visitor to the Himalayan areas. India is a country known for many festivals and celebrations, and the Mahashivrathri is one among them. Maha Shivratri, also known as the Great Night of Shiva, is a significant festival celebrated throughout India to honor Lord Shiva. Devotees stay awake throughout the night on Maha Shivratri to carry out poojas, chant mantras and meditate. All Shiva temples in the country flock by devotees during this day and bathe the Shivlinga with milk. They also decorate the Shivlinga with flowers and Bilva Patra/ Vilvam and chanting the mantra ‘ Om Nama Shivaya’ several times. It is believed that worshipping the Shivlinga and taking fast during this auspicious day with a clear heart and soul help devotees to get the blessings of Lord Shiva and attain moksha. Holi, the festival of Colours, is another most-important festival to celebrate in India in 2019. Holi marks as the arrival of spring and people throw colorful powders on each other during this day while drenched in water. It is a celebration of love, color, and fertility. Mainly a festival of North India, it is celebrated for the victory of good over evil. Holi is an ideal time for people in India to get together and enjoy. 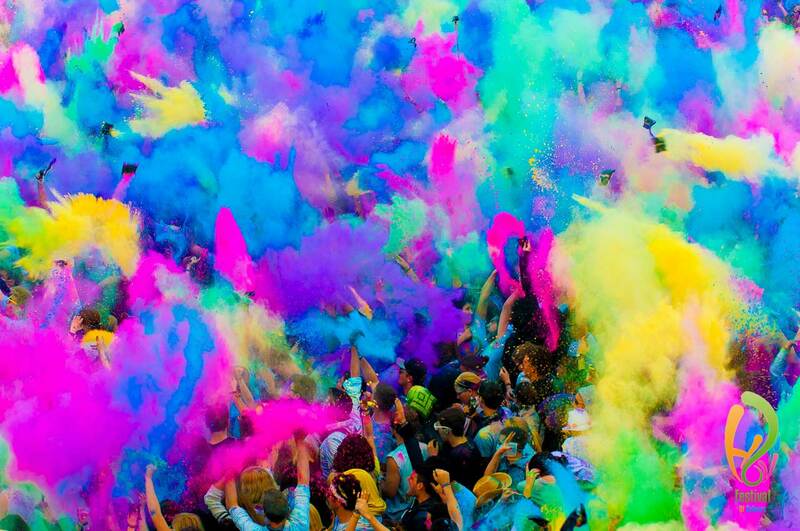 Families, friends, and even communities get together on this auspicious day and throw colored powders each other and celebrate it with triumph. Every year it celebrated after the full moon, and in some parts of the country such as Vrindavan and Mathura, the festivities of Holi start a week or even earlier. One of the great features of India is that it is a country with so many religions. People of different religious faiths live in this country harmoniously and celebrate festivals together. 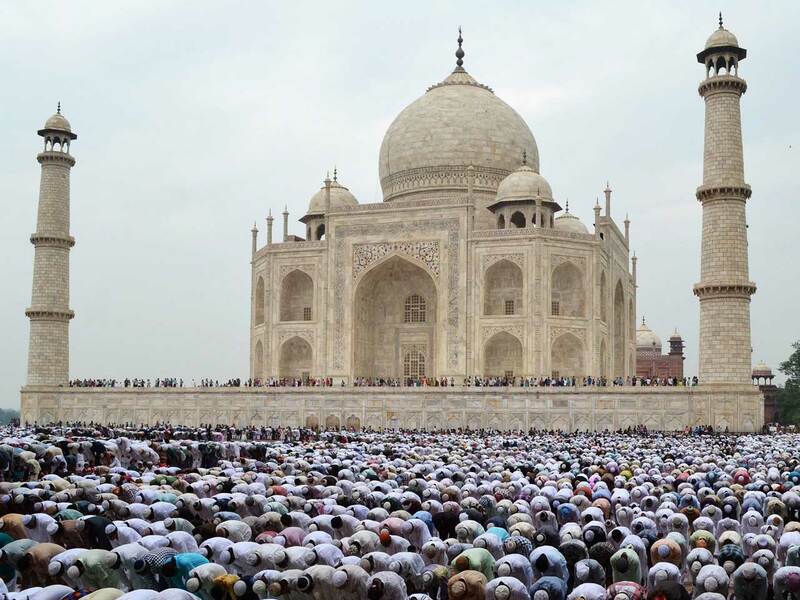 Eid-ul-Fitr is one of the most important and biggest festivals for the Muslims in India which celebrates at the end of the holy month of Ramadan. Commonly known as Eid, it is celebrated after a long month of fasting. The Muslim devotees break their fast after seeing the new moon. People in India celebrated this festival on the first day of Shawwal as per the Islamic calendar with many traditional dishes. The festivities of it started with Eid shopping and preparing special traditional dishes like Sheer Khuma saviyaan and ras malaai. People belong to the Muslim community decorate their home and workplaces during this festival. Male members of the family visit the mosques in the morning to be a part of the Eid prayer. Visit their friends and families, and exchange gifts and wishes are also a part of this festival. 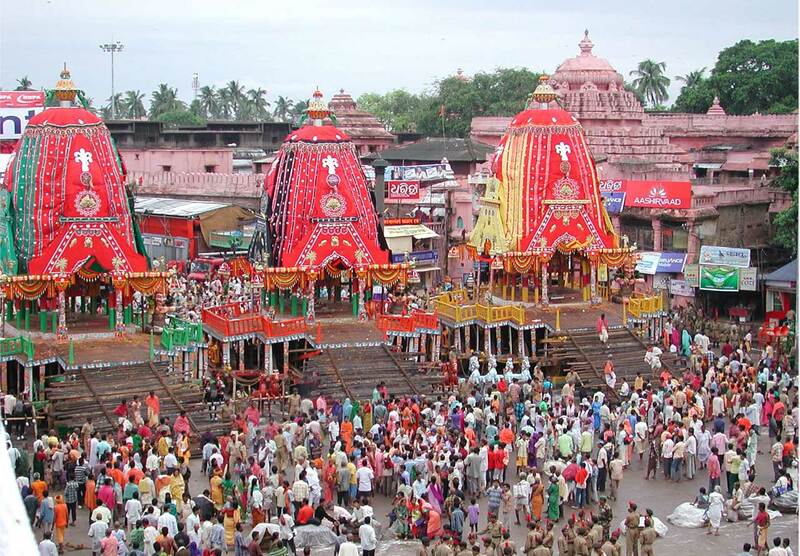 Another fantastic festival in India that is a spectacle to behold is the Puri Rath Yatra in Odisha. Many Indian and foreign travelers visit Puri during this time to experience the beauty of this marvelous festival. It is among the biggest and most-attention grabbing festivals in the country which is celebrated to worship Lord Jagannath. The wooden idols of Lord Jagannath, his elder brother Lord Balabhadra and his sister Subhadra are taken out to the nearest Gundicha Temple from the Jagannath Temple. It is believed that Lord Jagannath desires to visit Mathura, his birthplace for a while and this rath yatra is conducted every year to fulfill his desire. 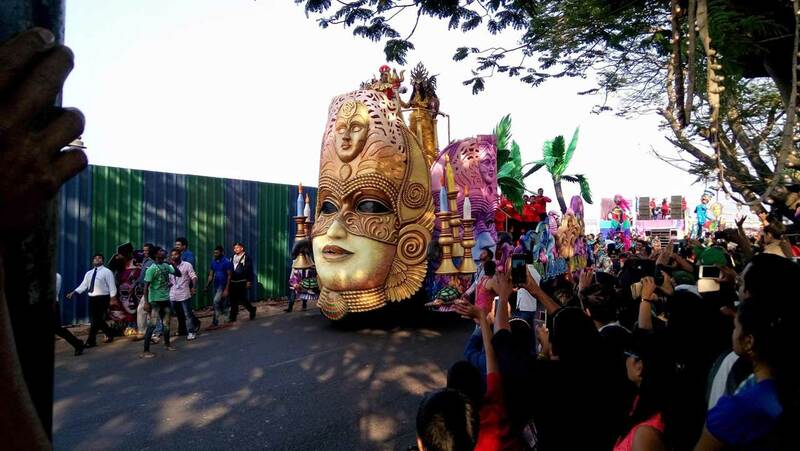 Watching the idols of the deities in decorative chariots and taken them for a procession with chants and conches shall be a mind-blowing experience. Janmashtami is a widely-celebrated festival in India and people in different parts of the country celebrated this festival in different ways. It is one of the most significant festivals for the people belonging to the Hindu community. Jhulautsav is the most attractive event that can be experienced if you visit Mathura during this festival. Large swings are placed in the temple courtyards of this destination on this auspicious day. Vrindavan in Uttar Pradesh is another great destination where people celebrate Janmashtami with great enthusiasm and zeal. If you visit Dwarakadish Temple in Gujarat on this day, you can see it adorned beautifully with lighting and flowers. 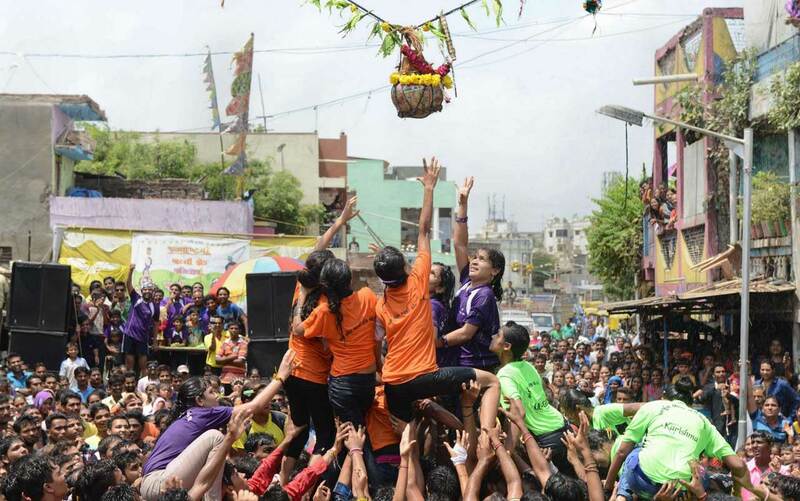 Experience the Dahi-Handi by visiting Maharashtra on the day of Janmashtami. In short, this cultural festival is celebrated throughout India with great zeal and fervor but in different ways. Another significant festival celebrated in India is Ganesh Chaturthi. Ganesha is a well-known Hindu God who is admired by every person belonging to the Hindu community. This 10-day festival is mainly celebrated in Maharashtra and surrounding states like Telangana. People worship Lord Ganesha during this festival with complete faith and devotion. They start their day on Ganesh Chaturthi with a bath and then wear clean clothes. After that they perform puja rituals to seek blessings which include chanting mantras, singing devotional songs, offering sweets and aartis. 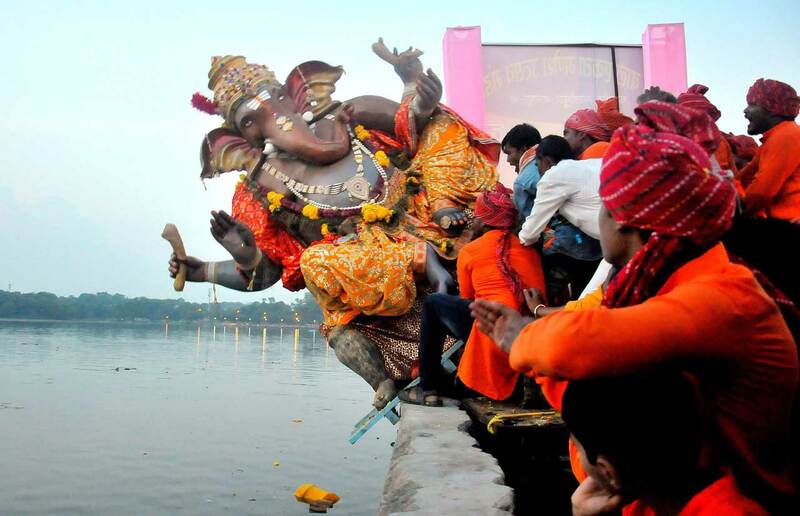 The statue of Lord Ganesha carried in public procession on the 10th day for immersing it in the river. People in India celebrate this festival as they believe that Lord Ganesha removes all their obstacles and brings happiness and prosperity for them. 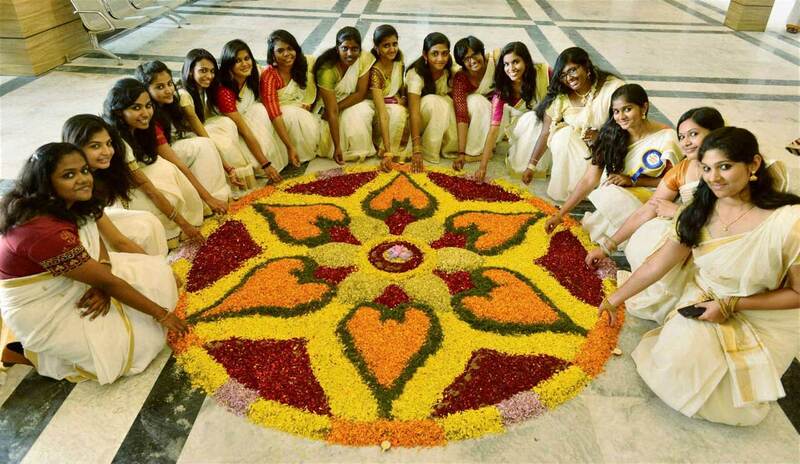 Onam is the most important festival for the people in the southernmost Indian state of Kerala. One of the great attractions of this festival is that it paints the entire state in different colors. You will love to watch the wild dancers of Pulikali, beautifully decorated elephants, and eye-catching floral decorations. Thrilling boat races are another exciting feature of Onam. Onam is a harvest festival marking the end of monsoon season. This 10-days festival celebrated during the Malayalam month of Chingam, which usually falls in the Gregorian calendar of August/September. A grand feast named Onam Sadya on the Thiruvonam day is the impressive feature of this festival. It is a nine-course meal served on banana leaves with many dishes. Keralites from across the globe visit Kerala during Onam to watch the spectacular parades of beautifully decorated elephants, snake boat races, cultural events, and carnivals. If you would like to enjoy the true spirits of Indian festival, then visit Bengal to celebrate the Durga Puja. Dedicated to Goddess Durga, this festival is nothing less than a carnival in Bengal. A festival of culture, traditions, customs, and joy, it is particularly a spectacular social event. All Bengali Hindus throughout the world celebrate this festival with dance, drama and many exciting cultural activities. Another great attraction of this festival is delicious food. You can see street stalls throughout the state during this time. 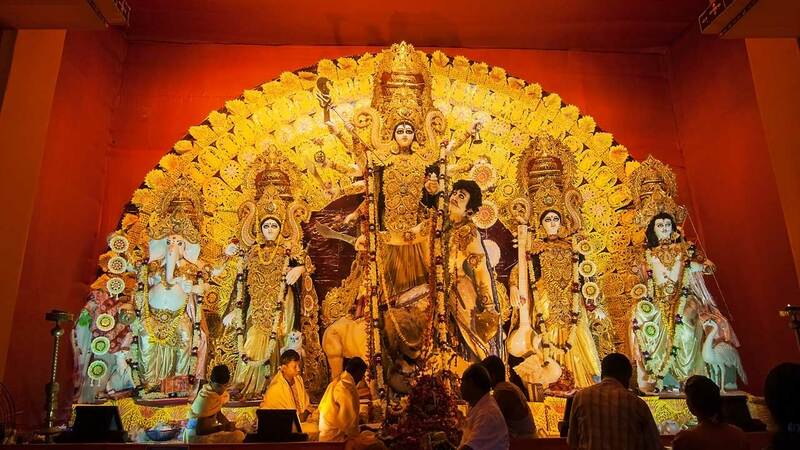 It shall be amazing to walk around the streets of Kolkata during Durga Puja where you can see people come to enjoy the beautiful statues of Goddes Durga, celebrate the festival and eat scrumptious dishes. Mainly a northern Indian festival, Dussehra is one of the widely celebrated festivals in India. It is celebrated throughout India but for different reasons and in various manners. For some part of the country, this festival marks the victory of Rama over the demon Ravana, but for some other areas, this festival is a way to respect and regard Goddess Durga or Saraswati. It is among the most revered festival of the Indian state of Bengal as it happens during the auspicious time of Shukla Paksha. This 10-day festival begins with Mahalaya Amavasya which is a special day for the Hindu community. Hindus give tributes to their forefathers on this auspicious day. Dusshera festival ends on a full moon night with the worship of Goddess Lakshmi, Kojagori Lakshmi Puja. Witnessing this festival shall be a wonderful experience for the tourists. Even if this festival is celebrated throughout the country, Kolkata is the best place to experience it. 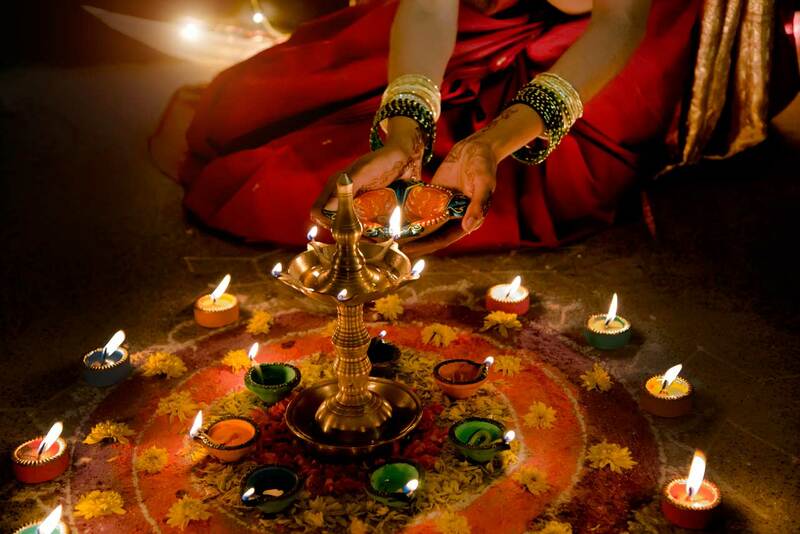 Deepavali is the most beautiful cultural festival in India and experience it can be a memorable experience. Also known as the festival of festivals, this global fiesta of lights can be best experienced if you visit the northern regions of this incredible country. It shall be amazing to enjoy the aesthetic charm of this festival that comes from the warm glow of lamps and lights. You will love to watch homes, shops, buildings and even the streets of the country adorn with the glow of lights. If you would like to witness the beauty and pomp of Deepavali, then Jaipur is an excellent place to enjoy it. 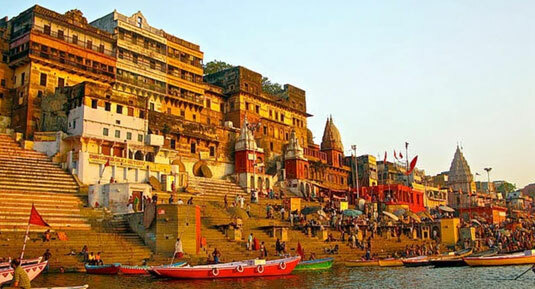 We, Colourful Indian Holidays, offer attractive tour packages for people who wish to experience this magnificent festival. The vibrancy and colorfulness of Indian festivals can be best experienced if you visit the North East states of the country. One of the highly anticipated cultural festival people love to participate in India is the Hornbill Festival which is celebrated in the North East Indian state of Nagaland. Being home to several most protected and indigenous tribes, travelers can enjoy some unique and quirky festivals in this small state. Organized by the state government of Nagaland, this festival encourages interaction among tribal communities. It is a ‘festival of festivals’ named after the Indian Hornbill as this bird is the center of many tales and folklores of Nagaland. 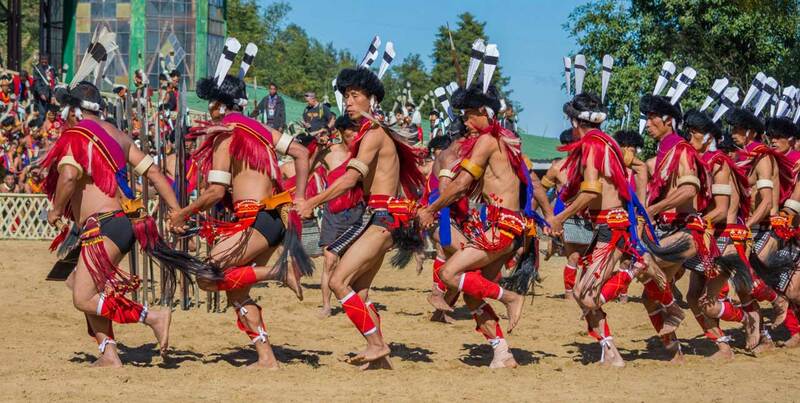 This festival is held from 1st to 10th of December every year Each tribal community in this state has own rituals and dance forms, and travelers can experience the high-spirit energy and positive rhythm of their art forms by visiting Nagaland during this festival. The night bazaars during the Hornbill Festival are lively and vibrant ideal to have some fun time out with families. With many stalls that sell traditional dishes, this festival time is also perfect to rejoice for the food lovers. Everybody knows that people from across the globe celebrate Christmas on 25th December. 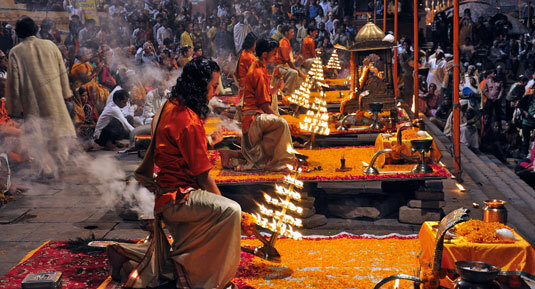 It is relatively a small celebration in India compared to other grand religious festivals. However, in some parts of the country, Christmas is celebrated with pomp and enthusiasm. With so many Roman Catholic people, Goa is an excellent place in India to celebrate this festival. Kerala is also home to plenty of people belonging to the Christian community and numerous churches. 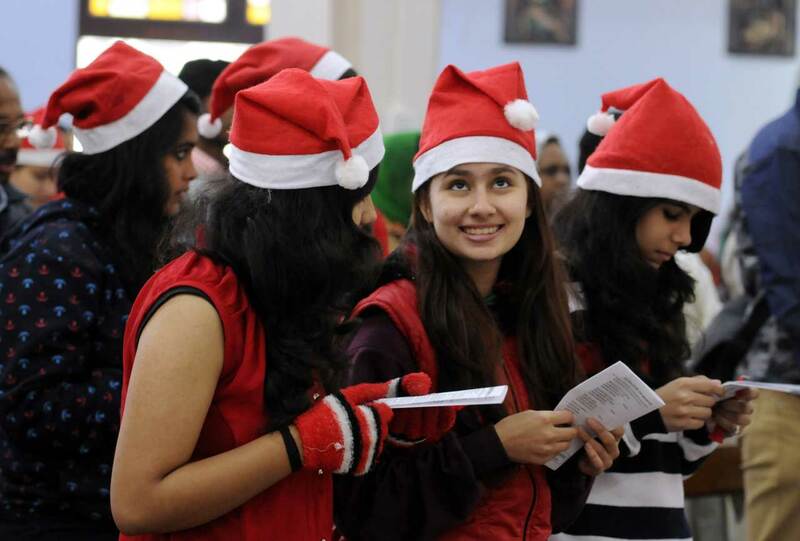 It is also a fine place to celebrate Christmas in India. Each Christian home in this state decorates with lights and stars during this festival. Some other states in the country where you can experience the warmth of this festival are Puducherry, Mumbai, Daman and Diu, Bangalore and Shillong. Gurpurab, also known as Guru Nanak Jayanti is an important occasion for the Sikh community. This festival marks the birth of the first Sikh Guru, Guru Nanak. The Sikh community celebrates this festival with great enthusiasm, and their celebrations start two days in advance. Reading their holy book Guru Granth Sahib is the starting of this festival. They read this holy book for 48 hours continuously without stopping it. 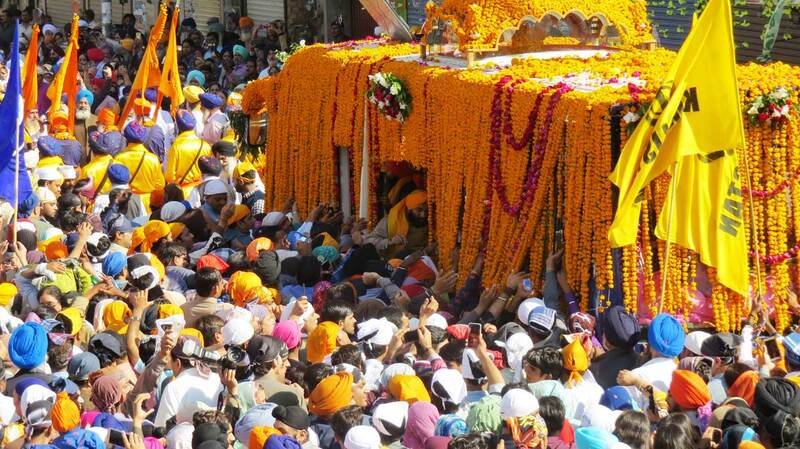 The procession is an important part of the Gurpurab. Sikhs decorates streets with flowers and Sikh flags for the festivities. On the Gurpurab day, the celebrations start around 4 -5 am, and people belong to the Sikh community head to the Gurudwara. Community feast, langar, is an integral part of this Sikh festival.